ARIANA PELLEGRA grew up traveling the world as an army brat. Her foundation was paved at Alabama Dance Academy under the direction of Pamela Merkel. Ariana is a graduate of Birmingham-Southern College with a B.A. in Dance (performance emphasis). Before transferring to BSC, she had the pleasure of training at Columbia College of Chicago where she studied under Margie Cole, Carrie Hanson, and Ariel Cisneros. 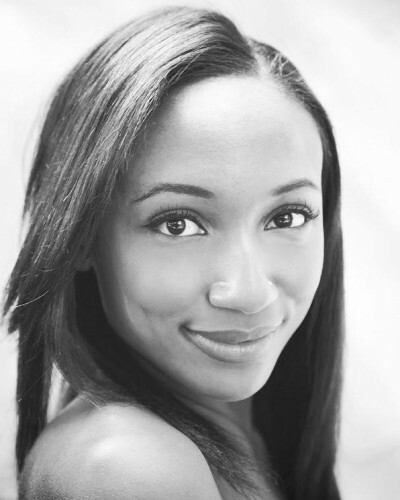 She is a former dancer of Philadanco!, the Philadelphia Dance Company. Some of her favorite highlights include Philadanco! Performs at City Hall, Danco on Danco at The Painted Bride, and Philadanco! at The Kennedy. Ariana has trained with nationally renowned companies such as The Joffrey Ballet, Complexions Contemporary Ballet, Nashville Ballet, and Alvin Ailey American Dance Theater. She has expanded her dance styles to include Horton, Contemporary Ballet, Post-Modernism, and Graham technique. In 2013, she returned to Birmingham as a freelance artist. She performed in The Dream Showcase at WorkPlay with fellow Alabama Ballet dancers in “Release Me”, created by a rising New York choreographer named Kendia Bennett. Shortly after, she was chosen to be featured in Birmingham 100. A photo and ethnographic project by photographer, Kenwyn Alexander, documenting people who are driving culture in/around the city of Birmingham. Ariana is a working dancer, model and teacher throughout the Birmingham community. One of her recent works was being featured in Birmingham Magazine with world photographer James Acomb, and fashioning the latest spring fashions with a technical dance twist. Another one of her latest projects was working with St. Paul and The Broken Bones as lead dancer in their new music video “All I Ever Wanted.” Ariana currently performs with Arova Contemporary Ballet and is the Marketing Director. She is determined to spread her abilities of her craft through her love of performing, and enriching the lives of kids with her teaching.